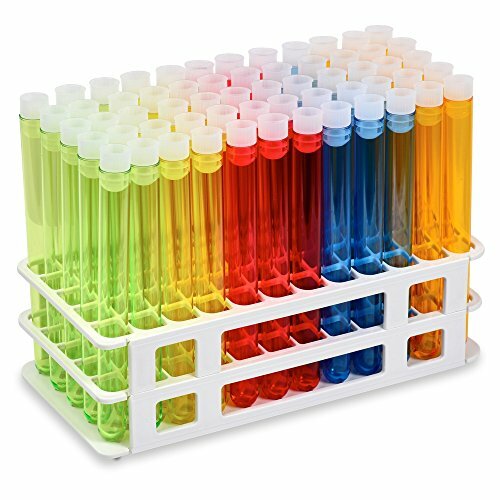 Test Tube Rack is molded from premium FDA approved food and laboratory grade polypropylene, is dishwasher safe, disassembles for easy storage, and is autoclavable to 250°F. Plastic Flange Caps have two flexible flanges to help ensure a leak proof seal. Cylindrical Test Tubes made of PS material. Polystyrene Tubes are not autoclavable or dishwasher safe but are chemically resistant and clear like glass. If you have any questions about this product by Karter Scientific, contact us by completing and submitting the form below. If you are looking for a specif part number, please include it with your message.